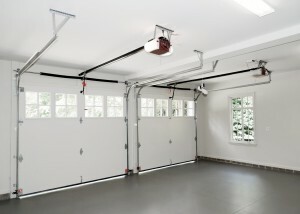 It’s definitely time to think about a garage door installation project when your door is showing signs of age. If it doesn’t open or close smoothly, sags and looks worn out, or has frayed cables or other mechanical safety issues, you may benefit from having 31-W Insulation install a new garage door in your Garner, NC, home. We have more than 40 years of experience helping homeowners such as yourself with garage doors and other home improvement needs. At 31-W, we’ll help you consider all of your options to find the garage door that complements your home’s style. Then, we’ll complete your garage door installation properly, with the precision and care necessary to provide you with a safe and functional garage door. As the largest entryway in your house, your garage door greatly influences your home’s overall curb appeal; and as the largest moving part of your house, safety is of the utmost importance. At 31-W, we understand what an important part of your home your garage door is and strive for your complete satisfaction when we install a new one for you. 31-W Insulation offers superior garage door installation services for homeowners in the Garner, NC, and surrounding area. Contact us today for a free consultation.